Veeam recognised as the winner of the first HPE 'Momentum Technology Partner of the Year 2018: Data and Analytics Solutions Award', cited as the most widely adopted third-party availability partner. Peter McKay, Co-CEO and President at Veeam. Veeam Software, the leader in Intelligent Data Management for the Hyper-Available Enterprise, today announced it has won the inaugural Hewlett-Packard Enterprise (HPE) "Momentum Technology Partner of the Year 2018: Data and Analytics Solutions Award" for high availability storage and data protection solutions growth and leadership. The award marks Veeam's recognition within the HPE partner ecosystem and builds momentum for the launch of Veeam Hyper-Availability solutions being integrated into HPE's global supply chain processes and systems on 2 July. "This award is an important acknowledgment of Veeam's landmark year in customer adoption," said Peter McKay, Co-CEO and President at Veeam. "Our partner programme has achieved triple-digit year-over-year growth and we expect that success to accelerate with inclusion in more top-tier partner programmes like HPE's. The momentum of our HPE partnership, along with the overall Veeam company success as we expand our market share and enterprise footprint, underscores the business value customers are realising from the combination of leading technologies for hybrid IT environments." "HPE recognises Veeam's strong performance and leadership through their storage and data protection solutions and their long-term commitment to the HPE Partner Ready Program," said Milan Shetti, General Manager, Storage and Big Data, HPE. "Together, we focus on providing leading IT solutions to enterprises and continue to share mutual growth and success." Advancement to HPE global supply chain: Veeam Hyper-Availability solutions will be integrated into HPE's global supply chain processes and systems, enabling customers to source Veeam solutions in all geographies from HPE. Joint customers will experience a more efficient purchasing process from a single, trusted IT partner, while channel partners will benefit from better financial incentives to sell Veeam through the HPE ecosystem. "In just 18 months, more than 1 800 Veeam and HPE joint opportunities have been closed," said Carey Stanton, Vice-President of Global Alliances at Veeam. "It's the result of a solid partnership, enabling customers to purchase complete Veeam and HPE Hyper-Availability solutions directly from HPE and its channel partners. With Hyper-Availability as the new expectation for data in today's enterprise, our partnership makes it easier than ever for customers to acquire and deploy our solutions together, solving business challenges quicker and with more confidence." HPE Nimble and Veeam are building on their legacy of success, making it easier than ever to buy, support and sell their integrated solutions. "While an independent company, Nimble had an extremely successful GTM motion with Veeam. We've seen the relationship and go-to-market synergy continue to be very strong post-HPE acquisition," said Omer Asad, General Manager of HPE Nimble Storage. "The tight integration of our two solutions is a powerful offering for the channel because it helps customers meet strict RTO and RPO requirements. Our integrated solution also offers customers the ability to quickly stand-up a sandbox environment directly from storage snapshots or from their replicated copies for dev/test, troubleshooting, or backup and DR verification activities, all without impacting the performance of their production workloads." Veeam, as part of HPE GreenLake, based on demand by its customers, Veeam will be available through HPE's next-generation of on-premises consumption services, providing customers with access to Veeam's market-leading Hyper-Availability solutions in conjunction with HPE's other IT solutions, and enabling joint customers to take advantage of pay-per-use IT solutions. 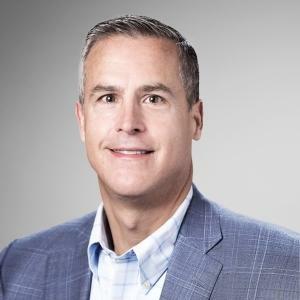 "HPE GreenLake offers a tremendous service to those customers who desire pay-per-use IT solutions," said Scott Ramsay, VP of Consumption & Managed Services for HPE Pointnext. "The addition of Veeam's award-winning hyper-availability solutions will help our shared customers to quickly access best-of-breed technology that will help them streamline their backup processes while reducing cost and increasing IT productivity." Customers can maximise the value of their Veeam investments with holistic, end-to-end training through experts they trust for their HPE solution training. HPE is now offering the Veeam Certified Engineer (VMCE) training and certification courses as part of its storage training curriculum, alongside HPE 3PAR StoreServ Storage, HPE StoreOnce Systems, and HPE Nimble Storage, in addition to the HPE Hybrid IT curriculum and related offerings such as Linux, VMware and Microsoft. Veeam is the global leader in Intelligent Data Management for the Hyper-Available Enterprise. Veeam Hyper-Availability Platform is the most complete solution to help customers on the journey to automating data management and ensuring the hyper-availability of data. Veeam has more than 300 000 customers worldwide, including 75% of the Fortune 500 and 58% of the Global 2000. Its customer satisfaction scores at 3.5 times the industry average, the highest in the industry. Veeam's global ecosystem includes 55 000 channel partners, and nearly 19 000 cloud and service providers. Headquartered in Baar, Switzerland, Veeam has offices in more than 30 countries. To learn more, visit https://www.veeam.com or follow Veeam on Twitter @veeam.